Everyone who registers to donate at the Keller Williams Hometown Realty blood drive at Sulphur Grove Unite Methodist Church on March 30 will receive the St. Patrick’s “Blood Donors ShamROCK!” t-shirt. HUBER HEIGHTS —Sulphur Grove United Methodist Church will partner with Community Blood Center to host a blood drive Saturday, March 30 from 9 a.m. to 12 noon in the Fellowship Hall, 7505 Taylorsville Road, Huber Heights. 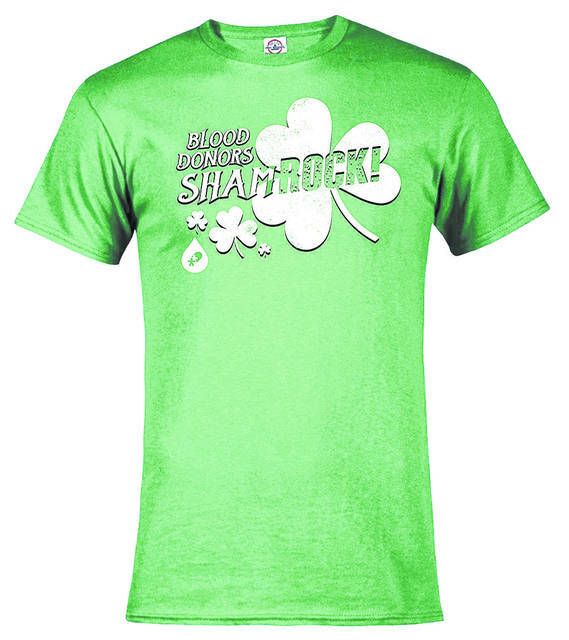 Everyone who registers to donate will receive the St. Patrick’s “Blood Donors ShamROCK!” t-shirt. Make an appointment online at www.DonorTime.com or call 1-800-388-GIVE. https://www.hhcourier.com/wp-content/uploads/sites/35/2019/03/web1_CBC.jpgEveryone who registers to donate at the Keller Williams Hometown Realty blood drive at Sulphur Grove Unite Methodist Church on March 30 will receive the St. Patrick’s “Blood Donors ShamROCK!” t-shirt.